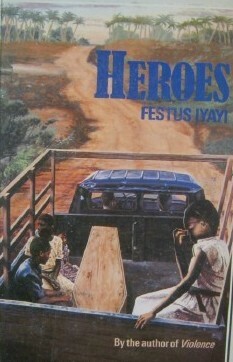 Festus Iyayi author of the novel that I was reading in the pictures below passed away on the 12th of November 2013. He was involved in a car accident with the convoy of a State Governor, Idris Wada (Kogi State, in the central region of Nigeria). Late Festus Iyayi was actually on his way to attend a meeting regarding a University strike. It is a pity he died in such a way. First African writer to win the Commonwealth Writer's Prize for Best Book Overall, in 1988. Please click here to read my review of his novel. I look forward to reading more of his works. Sorry, this is coming late, I just found out. So sad. I can only repeat what Reading Pleasure wrote. May he rest in peace.